To make cheap calls to Saint Vincent and the Grenadines or other countries abroad you’ll need to verify your mobile phone number and get some Yolla credits. Don’t be afraid, you can cancel your payment! And should you have any calling issues, Yolla Support will be there to help and make it up to you 24/7. 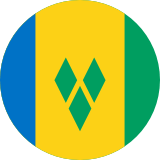 Now you are ready to speak with someone in Saint Vincent and the Grenadines – just pick a number in your contact list (it can be either a mobile or a landline phone). Or you can dial any phone number in Saint Vincent and the Grenadines using the Yolla dial pad. If you choose to enter the phone manually, don't forget to dial the country code +1-784 for Saint Vincent and the Grenadines. Have a nice talk!